Business Interruption Insurance is just one of a very comprehensive range of insurances we provide to our business and commercial clients in Tamworth, where we are based, throughout Staffordshire and indeed throughout the United Kingdom as a whole. Business Interruption insurance is also known as ‘Loss of Profits’ insurance and it is usually (but not always) arranged in conjunction with a business’s other insurances. It is crucial that a business holds this type of insurance. 70% of businesses who do not hold this type of cover actually cease trading after a fire or similar serious disaster. Property insurance covers the physical assets of the business such as the buildings, the stock, the fixtures and fittings but Business Interruption insurance is designed to continue to pay the profits that would have been earned whilst the company can’t trade for as long as necessary or up until the period of the policy, usually 12, 18, 24 or 36 months. Most people wrongly assume that in the event of a fire or similar disaster, that they will be back up and trading in a matter of weeks. Nothing is often further from the truth. Imagine your main piece of machinery has a 9 month lead time from the manufacturer, let alone, shipping, commissioning and re-training time! What if your largest customer takes his business elsewhere? How long will it take you to win them back or win enough replacement business? Who pays your staff whilst you’re not trading and what if they don’t want to wait forever? How long will it take to recruit and train new staff? What if replacement premises cannot easily be sourced in the local area? Are you going to wait until your original premises are rebuilt? If so, then local authority planning issues will have to be factored in – and anyone who has ever dealt with local authorities will know that this is not a place where rapid decisions are made! 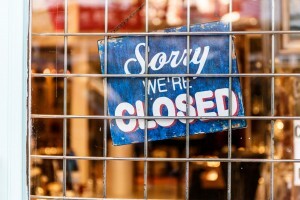 So, you need to make sure your Business Interruption Insurance has a long enough period of cover – and you’ll need the sum insured to be accurate. The insurance industry has a different definition of gross profit than accountants, so it is crucial that you insure for an adequate amount else you will be under-insured, which means that the only person who will be out of pocket will be you. Getting expert advice from our team at Prizm Solutions is critical and this advice is free of charge. The basic formula that insurers use is (in the simplest form) turnover less purchases. This means that staff wages are INCLUDED in the calculation, which is the most common accidental omission. A Business Interruption Insurance policy doesn’t only operate in the event of a physical disaster at your premises as it can also cover damage at your Suppliers or Customers premises. A recent example involving one of our clients involved a manufacturing company who sub-contracted some of their manufacturing to another company who then went up in flames, causing our clients to have to stop production, lose orders and therefore profits. A Business Interruption Insurance policy of this nature can also cover damage occurring ‘up the road’ so that, for example, raw materials cannot be delivered, so ‘Denial of Access’ is insured. Other common extensions include damage to the property whilst in transit; prevention of access due to a bomb threat; losses resulting from damage at the premises of a public utility; losses due to the occurrence of a notifiable disease, vermin, defective sanitary arrangements, murder and suicide. Most policies have a 24/7/365 claims reporting line as often bad things happen out of office hours! Business Interruption or Loss of Profits insurance is NOT compulsory but if something bad is going to happen, do you want to pay for it? The alternative is to be insured and your insurance company pays out. Either way – the thing that is going to interrupt your business will still happen irrespective of the existence of an insurance policy! It is increasing common for all types of businesses to now purchase insurance to allow them to sleep at night. Not forgetting of course that if you’ve a business overdraft, mortgage or bank loan – you will probably need to prove you’re got Business Interruption insurance. We are experts and our advice is free so please give us a call. You will also discover that we are a bit different to most brokers who provide Business Interruption insurance because in most cases we don’t take a commission from the insurance companies for placing the business with them. We would much rather work on a fee basis so that our earnings are transparent and we think this is more ethical. If you are in business you can be assured of our expert advice and knowledge of all aspects of business insurance especially Business Interruption Insurance. Please click here to arrange a call back or to email us if you would like a quotation.